Are you ready for a transformational escape that will support you in finding alignment physically, emotionally and mentally? Then allow us to provide that space for you. We are also now offering a Scuba Certification and Yoga package to our guests who would like to learn how to scuba dive… And a Couples Retreat package if you’re traveling with that special someone. OPTIONAL WORKSHOPS: We’re excited to offer our guests two very special workshops this week. The first is called Introduction to Ayurveda and the other is Accessing our True Nature Through Ayurvedic & Yogic Practices. Please see more details and price below. Natasja Payne, a Dutch native, lives and operates a large yoga & ayurveda spa studio in Cambridge, Ontario, CANADA. Natasja’s background is in dance, and attended the prestigious modern dance school; CodArts in Rotterdam, The Netherlands and enjoyed many years of an active dance career. After the birth of her first child in 1998 she began her career in fitness and taught Group Exercise classes, group trainings, and one-on-one trainings for the GoodLife Fitness clubs where in 2007 she was awarded “Fitness Instructor of the Year” for Canada. 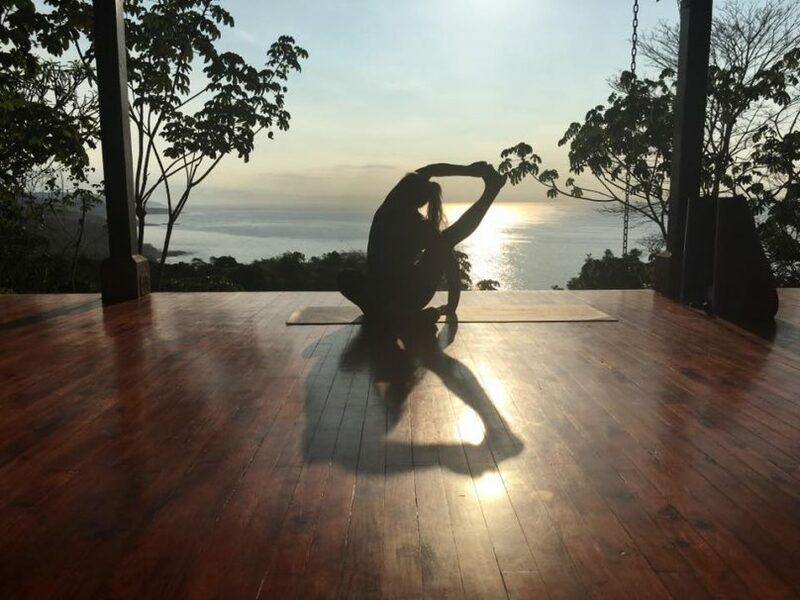 In 2008 when her mother-in-law was diagnosed with cancer, Natasja felt the pull and need to expand her own yoga practice and to create a sacred space where like minded individuals could gather and enjoy the practice of yoga in a serene, calm and spiritual environment. Today she operates a large yoga studio and Ayurveda Spa; Fusionmovement Yoga Studio, boosting two spacious practice rooms, 20 yoga teachers, and over 45 drop-in classes a week. Natasja is an active teacher at the studio as well as in her community. She often is invited to teach at local high schools, elementary schools, businesses and community events. Natasja has been teaching yoga for over 15 years, has led international yoga retreats in Costa Rica, as well she has been a presenter at the International Toronto Yoga Conference and at the World Fitness Expo in Toronto. She is well known for her creative, fluid, and dynamic yoga classes where she interweaves pearls of wisdom to create that “magic” in her classes. 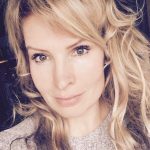 She is currently studying to become and Ayurvedic health consultant practitioner with the school of Kripalu and she recently completed her Ayurveda Spa Specialist program with Ayurveda Rituals in Toronto , Canada under the guidance of Andrea Oliveira. Natasja is very excited to share this ancient art of healing that can bring one back into ultimate balance ,vibrant health and ageless beauty. Natasja is grateful for her teachers; Seane Corne, Coral Brown, Rod Stryker, Maria Garre, Shiva Rea and Andrea Oliveira. Natasja is excited to be able to share her passion, love and joy of the yoga practice with you and that it may bring transformation, healing and intrinsic joy. Natasja believes that yoga is for everyone and for every body! Her classes are inclusive and she has the amazing ability to teach the same class at multiple levels, therefor every person in her classes feel safe, successful, and balanced in body, mind and spirit. The morning vinyasa yoga classes begin with a grounding movement meditation and breathing (pranayama) practices, allowing the student to fully drop-in and being present on the mat. Each class will have a different theme and/or peak pose. Classes are sequenced with great creative intelligence, so that the body and mind are completely prepared to move into the peak pose. Hands-on-enhancements are provided through out the class allowing the student to experience a deeper embodiment of the pose. 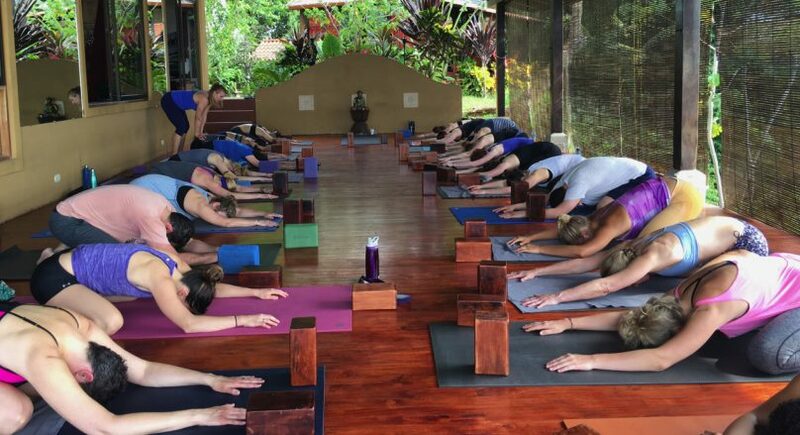 Each class ends with a 10 minutes shavasana and/or meditation. Natasja’s unique touch is that she leaves you an oracle card at the top of your mat with a message that is just for you. The afternoon yoga classes are very gentle and restorative in nature, essential oils and therapeutic touch are used, creating a magical and nourishing experience for the student. The afternoon classes incorporate breathing (pranayama) practices, mudras (sacred hand gestures), and/or myofascial release techniques. All of Natasja’s classes are accompanied with music. Music is a very important component in Natasja’s classes and her playlists are created with great care to ensure that they match the experience of the class. Music is like adding spice to food, therefor creating a richer and deeper experience of the yoga practice. In this 2.5 hour workshop you will be introduced to the Samkya philosophy on which Ayurveda, the oldest healing modality in the world, is based. Learn concepts such as the Pancha Mahabhutas (5 elements), the three Dosas, the Maha Gunas of Satva, Rajas and Tamas and how these Gunas affect our mind and well-being. Learn an Ayurvedic perspective on how certain foods, spices, activities and life-styles can either heal us or harm us depending on one’s own constitution. You will discover in this workshop your own constitution and what activities and life-style habits are best suited for you so that you can remain in optimal health and can age gracefully. This workshop will conclude with a self-care practice called Abhyanga (self oiling massage). **Workshop is $35 or $60 for both. In this 2 hour workshop, learn an Ayurvedic approach to navigate and cycle with the rhythms of the day and the seasons. Ayurveda is the sister science to yoga and encompasses a full spectrum approach to harmonizing the mind, the body and the soul and cultivates a deeper understanding of the Self…our True Nature. You will learn how to cleanse your five senses on a daily basis to keep the mind clear, calm and steady allowing the body to remain free of stress, inflammation and unease. You will be guided through three different meditations and mini yoga practices, each activating and stimulating different elements of air, ether, fire, water and earth within the body. By participating in these you will gain a deeper understanding to why certain yoga styles or meditation techniques are better suited for you than others. When the mind and body are in balance and harmony we can access higher states of awareness leading to an increase of joy, contentment, vitality and inner truth. **Workshop is $35 or $60 for both.